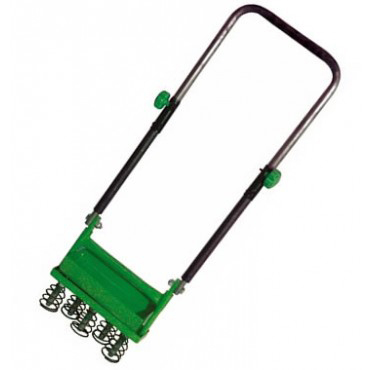 Simple to use and effective, the Handy Hollow Tine Lawn Aerator can be used at any time of the year to relieve compaction or remove soil plugs for renovation work. Using after the application of fertiliser or lawn dressings can assist the entry to the turf. Ideal for use on small lawns or on areas of larger grassed areas that are regularly walked over. CLICK AND COLLECT, order online and we will contact us to confirm receipt of your order.